CBD Oil Review rates Blue Moon Hemp with four stars because it qualifies for the Quality, Safety, Mission & Innovation Badges. Blue Moon Hemp has two hallmarks of an excellent CBD provider – a foundation of good ethics and accessible price points. Furthermore, they implement a process called “high-speed emulsion” wherein the desirable substances are converted to nano-sized molecules, ultimately affording higher bioavailability and extended shelf life. Additionally, they offer rich sources of education and wisdom regarding cannabinoid consumption; Blue Moon Hemp is high on our list of top CBD vendors. Blue Moon Hemp has good intentions written all over them; it is evident that they have prioritized the combination of both top-quality cannabidiol oil and affordability in one neatly wrapped package. The supposed reason they can do this is due to their “strong buying power,” a perk that is passed on to the consumer. Products range in price from $15 all the way to $276; these higher priced SKUs are mostly vape oil combo packs that contain multiple flavors. This company also seems very passionate in regards to educating the general public about CBDs, what they are, and why many people could benefit from their usage. Not only do they run a blog and a forum on these topics, but they also have multiple links to various studies. This education is hugely important, as there remain scores of individuals with chronic illnesses and disabilities that have never heard of CBD, much less why it could be helpful — especially compared to pharmaceutical drugs. 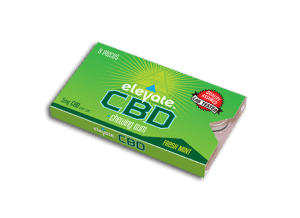 The three types of items offered by Blue Moon Hemp at the time of this review are vape oils, tinctures, and a chewable CBD gum. They utilize high-speed emulsion technology, a technique which produces nano-sized molecules. This process not only allows for a much higher bioavailability but also increased stability, which means a longer shelf life. While they do claim that their products are liable to be some of the best one could try, they also put a lot of emphasis on the philosophy of “less is more.” There is a tendency to over-do things a bit in our culture, and they feel “less is more” applies to cannabinoids, too. 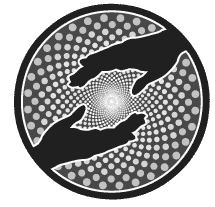 For anyone for whom people-centric values are important, Blue Moon Hemp may be a good place to spend your hard-earned dollars on any cannabinoid-related expenditures. Quality Verified – Blue Moon Hemp exclusively use organically grown, non-GMO hemp from farmers that use eco-friendly and sustainable agricultural methods. Mission Verified – Blue Moon Hemp is committed to educating the public on CBD, optimizing purity in their formulations, and innovating new product delivery systems. Safety Verified – A published Certificate of Analysis for Blue Moon’s hemp is available for viewing on their site. Innovation Verified – Blue Moon Hemp exclusively use organically grown, non-GMO hemp from farmers that use eco-friendly and sustainable agricultural methods. I am taking drug testing..on bond for weed possession..will blue moon cause me to fail?? Is it zero thc?? I have nothing but good things to say about Blue Moon Hemp Oil. I tried their TruBlu Hemp Oil about a month ago for migraines I've suffered with for 45years. I'm pleased to say, I haven't had a migraine since starting the oil. As a 60yr. old, I have other aches and pains. Trublu has stopped it. I am very thankful to the man in the Hutt, in Pine Bluff Ar. for recommending TruBlu 250mg. I take 10 drops a day. Hi I’m new to CBD and wondering if I will make a difference if I take antidepressant will it affect me? I have been using CBD for other reasons, but I do take an antidepressant. I take the anti depressant at night and I take the CBD in the morning. I use CBD because I have COPD. It is really helping me.I have found that I am also calmer. Whatever strength you buy, just start slowly and see how you feel. I have terrible insomnia. 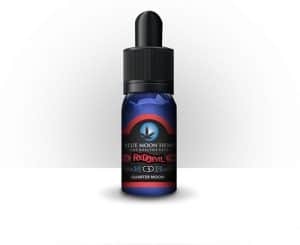 I've been trying to find something that would help, and I recently found out that I could vape cbd oils. If anyone with this experience could help with the dosage or just what kind worked for you, that would be a great deal of help. New to this cbs stuff... what is the starting dose and strenth for chronic fibromyalgia pain? We have had great results wit 350mg cbd 3 to 5 drops sublingually combined with sour diesel and blueberry og terpenes. I’m new to the vaping world. I’ve had 3 back surgeries and deal with chronic pain, inflammation, anxiety n depression. What amount should I start with. I purchased 100 mg, how many drops? Severe ptsd, generalized anxiety and depression. I'm 56. Very overweight. What's the suggested dose of cbd? I would start with 1-3 drops at a time, once a day. It is better to start low and increase as needed. If that doesn't seem like much help, increase to 1-3 drops in morning and then again at night. Just passing on what I've been told. Hope it helps.